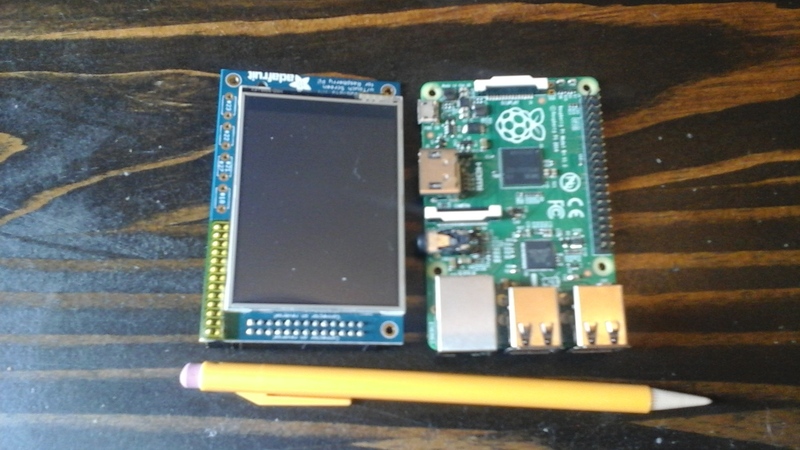 The thing on the left is a Raspberry Pi Monitor. On the right is the Raspberry Pi computer. It’s not very powerful compared to those we are used to these days. Even computing power of a cell phone exceeds the Pi many times over. So why mess with it in this day and age? Because it opens the field for experimentation, new things to learn, new challenges, new things to accomplish. A few years back I acquired an interest in the Pi and attended a few group-meeting at the University of Texas, Dallas. A software engineer seeking new ideas headed the meetup and I took a lot of knowledge home with me. Along the right-hand edge of the computer is a double row of small vertical pins. The monitor has a matching plug that mates like a sandwich. I bought the monitor. When I plugged it in and turned it on the display was hard against the right margin. That didn’t hurt anything, but it bugged me. I wanted it centered. I began experimenting with the placement code and after a dozen times the monitor turned dark. In my search for the cause I discovered the codec (the black square just below the raspberry symbol) was hot enough to cook my breakfast. Shucks! Disheartened, I stored it in an iPhone box and thought about it for a few years. Today, I ordered another Pi and a terminal node controller. When everything is assembled and I better understand what I’m doing I’ll start sending amateur radio messages without the Internet, drawing power from a solar panel and eventually joining up with the emergency communications (EMCOMM) and strut my new toy. I won’t be using my cool monitor. I’m not sure what took the codec out, my coding or something in the monitory bit the dust.